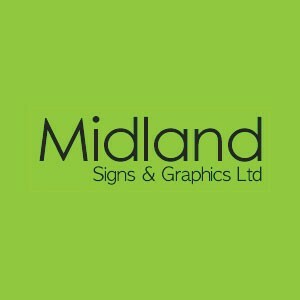 Midland Signs & Graphics Ltd offer you a professional signs service Nationwide. We have over 20 years of experience in the sign industry, enabling us to offer you a professional signage service with a dedication to customer satisfaction. As sign makers, we supply vehicle graphics, exterior signs, interior signs, window graphics, PVC banners, health & safety signs in the West Midlands and the surrounding areas. Many of the Signs we fit are shop signs, retail signs, promotional displays, business signs, office signs, We have made large investments in wide format digital print technology, we have the ability to print full colour onto a variety of materials including paper, vinyl, banners alongside traditional sign/graphic products. We also recommend the use of protective laminates which again are applied using hot or cold lamination machinery in house. We are fully insured for your peace of mind.